Union/Socialist/Marxist Machine &Teachers protest Cuomo, schools,curriculum | the "silent" majority no more! May 17, 2014. The Union/Socialist/Marxist Machine and Teachers were joined by parents and students, as well as a few school bus drivers, at NY’s City Hall to protest Cuomo, Bloomberg, Charter Schools and the “Common Core” curricula. Seems the Capitalists are to blame for our failed Public Education. Communist, Democrats, Greenies, “Workers”, Occupy… all sprung forth from the same piece of political and philosophical dung…. Droning on and on about Profits vs our Civil Rights. “Progressives’ and the Commie-fed ‘Working Families Party‘ lead the mantras about “social injustice”. Teachers and their unions raged on about ‘inequality’ ravaging our schools. They claim that it’s only the rich white kids getting a quality education that is denied to kids-of-color. Money is Evil. Money is Racist. Profits trump a quality Education for the poor. Embrace their self-imposed ignorance or else be banished; branded as a subversive Tea Party/Conservative Nut-Job. 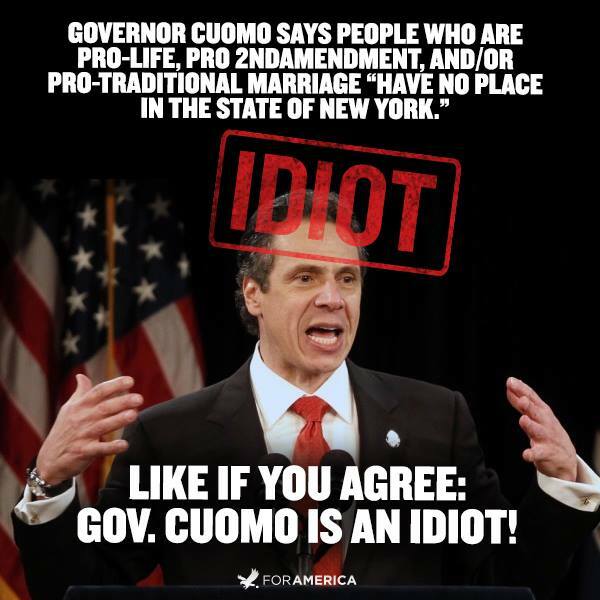 “Leave NY State” says Cuomo. “The victim vs the master” meme enthralls the sycophant media. Challenge them and you will meet the Progressive’s Evil Twin “Snidely” who is “evasive, un-intimidated and very disrespectful”. “Common Core”…”Government Controlled” textbooks… testing and teachers …. Government Control of our schools…. this now offends the Union/Leftist/ Prog/Socialists. Marx didn’t like to belong to organizations he didn’t control. And once within an organization, Marx tried to control literally everything it did. Many Marxists (not just “left communists”) argue that Marxism, or communism, is not about state control and centralization. According to Marx it is. In the extreme and all-encompassing level of this communist, centralization is thoroughly Stalinist (or Marxist!) in nature. i) The abolition of private property. ii) The central organization of wages for workers on the land and in factories. iii) The nationalization of transport. iv) Private banks were to be erased and superseded by centralized or state banks. v) The state would own all factories, workshops, farms, etc. vi) All education was to be centralized or state-controlled and funded by the state. From Save Our Schools and Save Our Schools Face Book Page more on their opposition to TESTING. The national Testing Resistance & Reform Spring campaign. Calling all NYC Metro Area community activists, the “voices of resistance”, families, students, civil rights advocates, voters, immigrant families, policymakers and legislators, union members, teachers, faith leaders and all communities that believe in a good public education for all! Join us in … seeking to create & sustain a public school system that provides a fully funded, equitable, community-based education for every child. This means that….decisions about our children’s schooling would be made democratically by families and professional educators, free of corporate and political intervention. VIDEO – Part 1 – In part one, the speaker was particularly pleased that there was a bill just passed by the Assembly Education Committee – a unanimous bipartisan vote – putting a two year delay on teacher evaluations. No teacher “Evals”, no schools closed. VIDEO – Part 2 – In Part Two, the speaker (a member of Black New Yorkers for Educational Excellence) focused on an education that has “Equity with Excellence; Excellence with Equity for ALL students. A fundamental Human Right. Quality Education that is not possible in NYC without a Struggle for CHANGE. They were not disappointed in the election of DeBlasio as Mayor of NYC, but are strongly opposed to Mayoral Control of the Public Schools. And they are very opposed to Charter Schools. VIDEO – Part 3 – In Part Three, the speaker was a black woman who introduced herself as a parent. She complains that “the NYC schools have become a pipeline in to our prisons. Too many of our students are being arrested in our schools where they are supposed to be learning. Our schools are not Prisons. Our children are not criminals.” She was an advocate for After-school Programs. Social Workers…. Let corporations know that we will resist their efforts to privatize and control public education. Assure authentic classroom based assessment that informs teaching and learning; end high stakes testing. Establish universal high quality preschools, taught by early childhood experts, and available to all children as part of their public education. Stop edTPA– States are outsourcing the evaluation of student teachers to Pearson. This allows a private for-profit company to determine how our children will be taught and by whom. psychologists, and health care workers. VIDEO – Part 5 – In Part Five, The speakers are from the Badass Moms (and Teachers) Assoc. (there were two) one of whom spoke of her 15 seconds of fame when she confronted Gov. Christie. Caught the end of the first speaker, “Join hands Parents and Teachers. Never let Go til we get our class rooms back”. She continues, “We have more power than we even recognize. We have a right to organize. We need to take back our schools. Our responsibility to act. Inform the decision makers that we will no longer sit by and let this happen. We gave their brand of educational reform a chance. We will not allow an even more intense brand with racist (?unclear?) We demand change. Now we must create it. MEMBERS CAN BE BANNED FOR: Supporting corporate deform entities (TFA, StudentsFirst, Pearson, Bill Gates, etc. ); supporting Common Core State Standards; excessive arguing or disrespecting decisions made by the mods/admins/founders and disrespecting any UNION; making comments that conflict with the mission of Badass Moms Association; making any racist comments. No teacher bashing. We oppose the Common Core State Standards, Teach for America, expansion of Charter Schools and the disinvestment in our public schools. No mention of ridding the schools of the incompetent educators. Corporations Bad. Unions Good. Then there was the Kumbaya moment and it was time to vacate the premises. This entry was posted in current events and tagged badass, bloomberg, city hall, coomon core, cuomo, education reform, marxists, mayoral control, NYC, socialists. Bookmark the permalink.